The Martian is an incredible book. It is what I call, "hard scifi," where the author tries to make the book as plausible as possible, based on our current understanding of Science. So instead of fictional science like Star Trek and many others, this is today's science extrapolated into a fictional scenario in the future. For that, I applaud you, Andy Weir. I read it in one day, staying up until 1 A.M., which is rare for me. Between a full time job, preschoolers, and taking graduate classes, I don't have that much time to read novels. Dr. Seuss: yes. Novels: not so much. The one thing I have against the book is that it had way too much foul language. That being said, it was part of who the character was and how he coped with the situations he was in. As far as characterization goes, he is a great one. He is odd enough for people to relate to him and he is very human in a lot of ways (his love/hate relationship with 70s tv for example) so that we can easily identify with him and feel what he feels. I really appreciate his attention to detail and to getting the science right. There were some good laughs in there to keep you from getting depressed. You really start to root for him to make it. 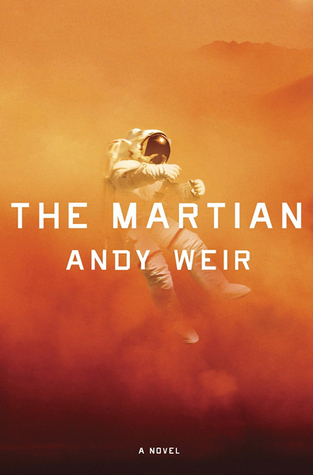 Sign into Goodreads to see if any of your friends have read The Martian.